* These delicate faux marcasite wholesale bridal earrings have the perfect look for the vintage wedding. 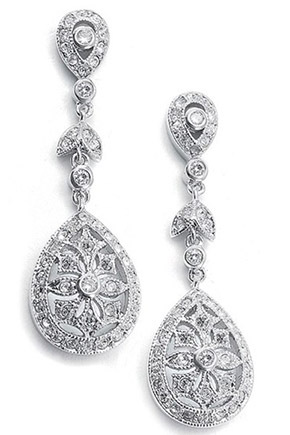 * These cubic zirconia pave earrings are versatile enough to wear for the most formal occasion or for an evening out. * These earrings are plated in rich silver rhodium and measure 1 1/2" h.